A new breed of multi-brand fashion retailer, 18Montrose needed an eCommerce solution that would grow with them and their multi-channel sales strategy. 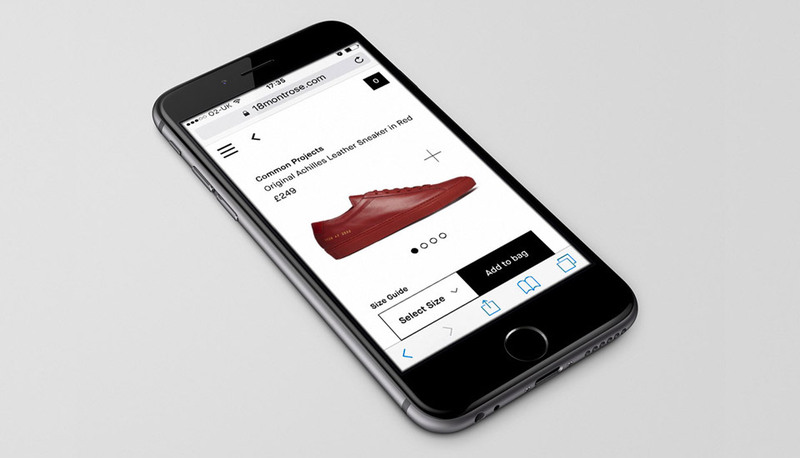 Narrative created a Shopify store for them with advanced custom search & filtering options. With all our clients we work with them to pick the most suitable solutions, and because we wok with multiple eCommerce platforms, we can provide a wider range of options. Shopify was the right choice for 18Montrose at this stage in their business growth, providing them with a reliable, cost-effective eCommerce platform with minimal long-term commitment. With plans to grow, 18Montrose needed an eCommerce solution that would scale with their business and allow their own brand to come through. The final site conveys the 18Montrose brand identity while comlimenting the multiple fashion brands available on the site. The brand’s plans included moving all future eCommmerce in-house, so Narrative built and maintained the Shopify store until they had the resources in place to take it on themselves. We then helped them transition to their in-house development team. 18montrose is a new Multi-brand & multi-channel retail chain offering men’s and women’s fashion by globally renowned brands including Rick Owens, Yeezy, Stone Island and Common Projects. 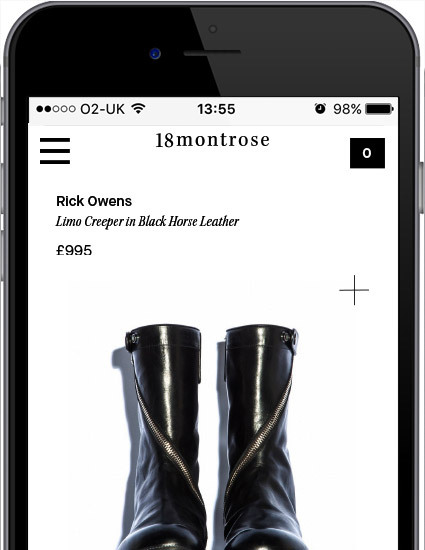 We worked with the creative lead at 18Montrose to develop their fashion eCommerce and helped move them to an in-house development team as they grew.